Have you ever wondered what life is like for an artist on the road? Ever wished you could take a look behind the scenes and learn what it’s really like to travel and play in different cities every night? 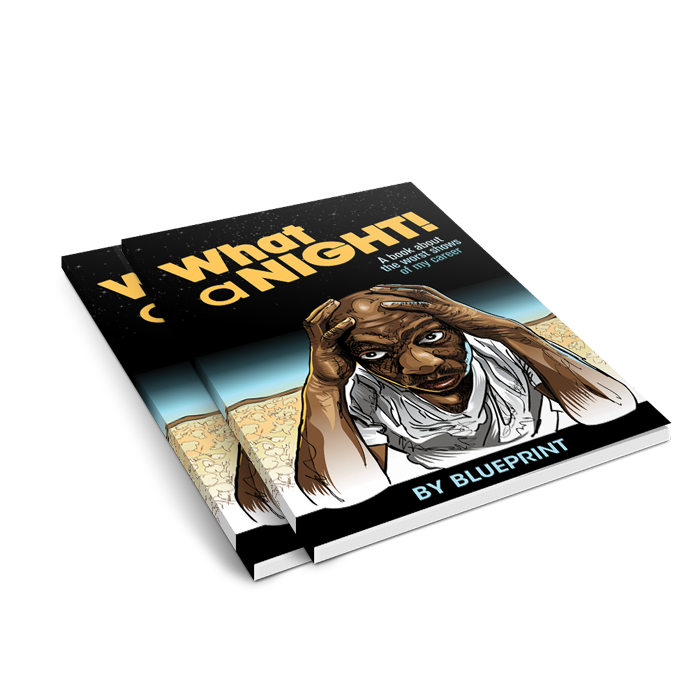 What A Night is the third book by MC, Producer, and author Blueprint. Part comedy, part tragedy, and part bizarre, What A Night takes the reader deep behind the scenes to tell previously unheard stories about the worst shows of Blueprint’s 17-year touring career. Any artist could write volumes about the great shows they’ve had, but where’s the fun in that? In What a Night, Blueprint gives you twenty stories about twenty different shows where everything hit the fan. 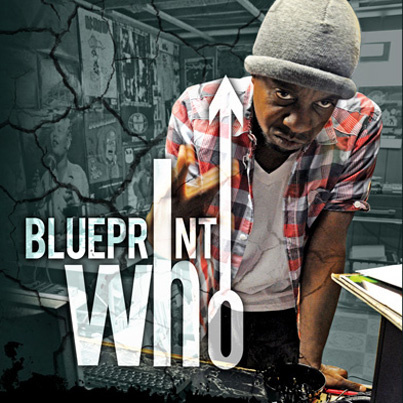 Twenty never told before true stories about the worst shows of Blueprint’s career, each from a different city. 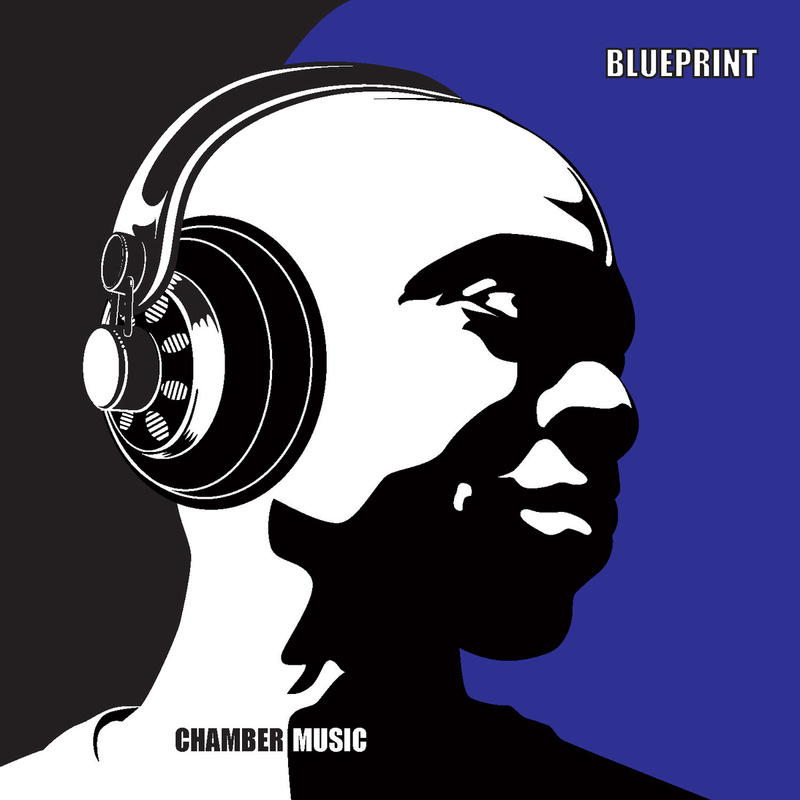 Stories include appearances from Illogic, Slug, Mr Dibbs, Eyedea, DJ PRZM, One Be Lo and many more independent artists. 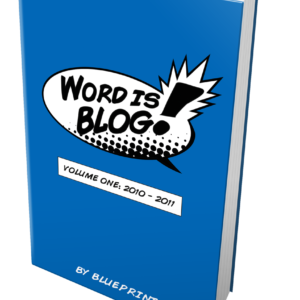 Would you like your book signed by Blueprint? A truthful and unfiltered book on some of the disasters and mishaps of an independent act touring. Each chapter is a different story of a crazy show. I couldn’t put it down and finished within 2-3 evenings bc I couldn’t wait to read about the next show described! 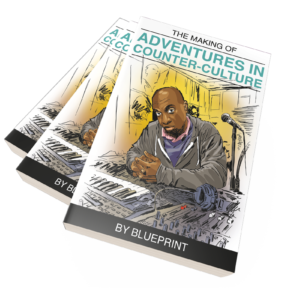 The lessons and insights shared in those pages are so universally applicable that they go beyond musician or touring artists. Those insights are invaluable for anyone who interacts with either the entertainment or the service industry. Disclaimer: I contributed to a chapter. 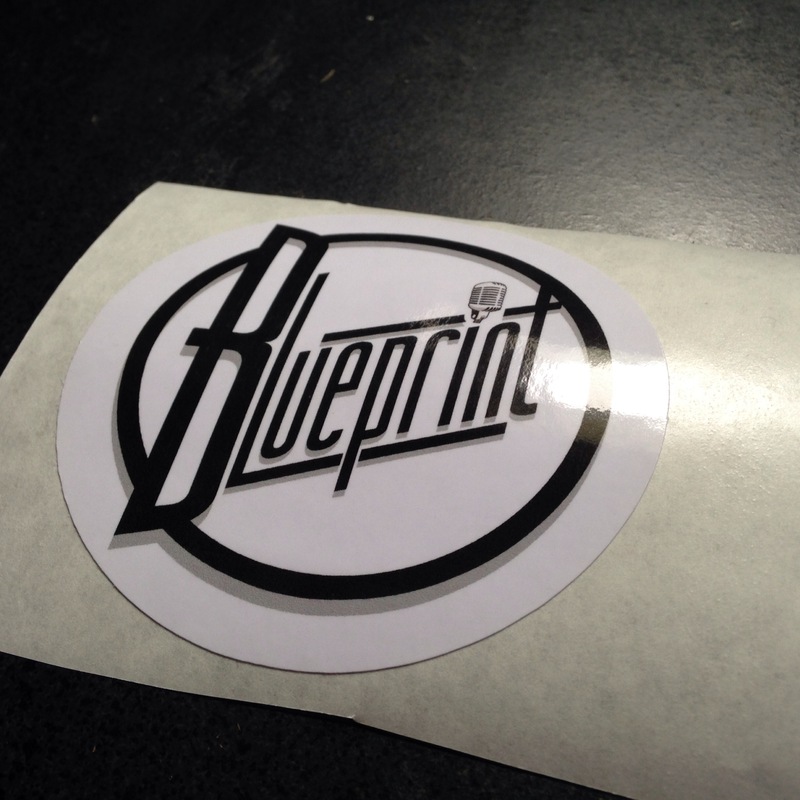 I've had the good fortune of seeing Blueprint perform many times. 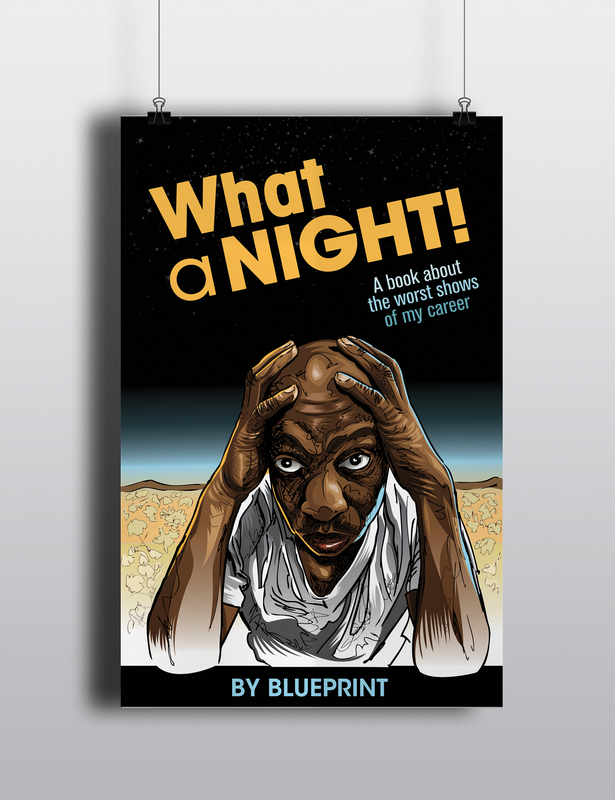 In What A Night, Blueprint does a great job giving a behind-the-scenes look of how he survived the road and it wasn't pretty. His follies can be our wisdom. 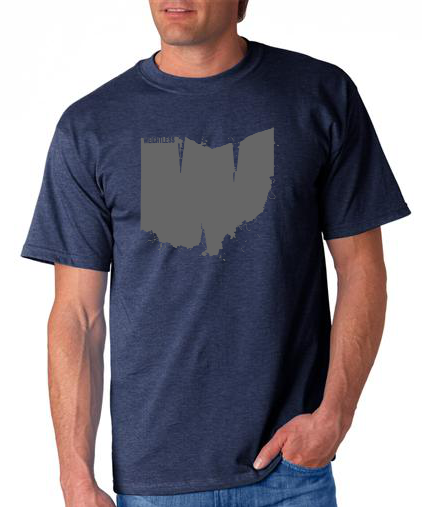 Don't sleep.